Traditionally, grounds for divorce were based on one spouse’s fault, meaning that some type of marital misconduct led to the breakdown of the marriage. Florida no longer requires fault-based grounds for divorce, as the Florida Dissolution of Marriage Statute is designed to promote the amicable settlement of disputes that arise between the parties to a marriage, and to lessen the potential harm to spouses and their children caused by divorce. Is Florida a No-Fault State for Divorce? Florida is a pure no-fault state, which means divorcing spouses do not need to prove or provide grounds for filing for divorce. Rather, the spouse filing the Petition for Dissolution of Marriage simply cites irretrievable breakdown of the marriage, or in some situations, the mental incapacity of the other spouse for a period of three or more years. Irretrievably broken means the parties have differences or disputes that cannot be settled, and are so serious that they have caused the total and complete breakdown of the marriage. In most cases, proving fault during divorce litigation does not affect child custody, child support, property division, or alimony determinations, except in situations where domestic violence creates an unsafe environment for a child. There are many reasons states no longer require fault-based grounds for divorce, for example, no-fault divorce makes it easier for a person to leave an abusive marriage, and domestic violence rates have declined as a result. No-fault divorce also shortens the length of time it takes to obtain a divorce, and divorce settlements are based on need, ability to pay, and contribution to family finances, rather than on fault. If you are facing divorce, you need advice and guidance during this difficult time. 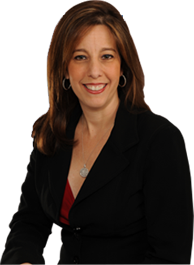 Do not hesitate to contact Sandra Bonfiglio, P.A. to schedule a consultation and learn more about our services. From our offices in Fort Lauderdale, we serve clients throughout Broward County.